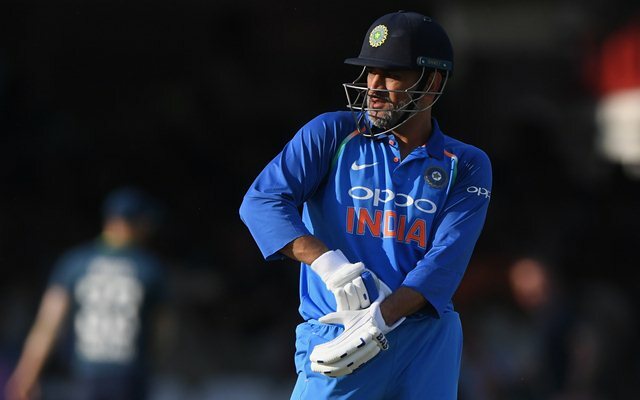 Dhoni said the lack of practice games ahead of the Test series in England made it difficult for the Indian batsmen to adjust to the alien conditions. He is the most successful captain India has produced in all three formats of cricket yet and his resignation from the captaincy, especially in the limited-overs format, had left the fans and followers stunned. But MS Dhoni had his own conviction behind the surprise resignation and as a genuine team man, his big decision too was taken keeping the team’s interest above all. While Dhoni left Test captaincy abruptly in Australia in December in the middle of a series (his final Test as captain was also his final Test as a player), he stepped down from the leadership in the 50-over and 20-over formats in 2016, paving way for Virat Kohli who was doing only the Test captaincy at that time. But why did he quit captaincy? Was there a sense of disappointment? Dhoni put to rest all the speculation at a motivational programme with the CISF at Ranchi’s Birsa Munda Airport recently, saying: “I resigned from captaincy because I wanted the new captain to get enough time for preparing a team before the ICC Cricket World Cup 2019,” the SportsRush reported. “Selecting a strong team without giving the new captain appropriate time isn’t possible. I believe that I left the captaincy at the right time”, the 37-year-old wicketkeeper-batsman said. Dhoni led India in 60 Tests, winning 27, losing 18 and drawing 15 – the best so far by any Indian captain in the longest format. In the ODIs, he led India 199 times, winning 110 games while lost 74. Four matches were tied while 11 were inconclusive. Besides, he also captained India in 72 T20Is, winning 41, losing 28, tied one while two matches had no results. As a captain, Dhoni led India to win two world titles – one in the 50-over format (2011) and another in the 20-over format (2007). Besides, he also has tasted success as the captain in various countries, including Australia where his team won a tri-series title in 2008 and in England where India won the Champions Trophy under his leadership in 2013. Dhoni had a break after the limited-overs series in England ended and will again don the blue jersey during the upcoming Asia Cup where India will meet Hong Kong and Pakistan in the group stages. When asked about India’s 1-4 loss to England in the Test series, Dhoni said the lack of practice games ahead of the series made it difficult for the Indian batsmen to adjust to the alien conditions. How did Rajdeep Sardesai get MS Dhoni to open up?